Lexus is a company that is constantly in search of new innovations. Its latest innovation is making cool wheels and tires – literally. 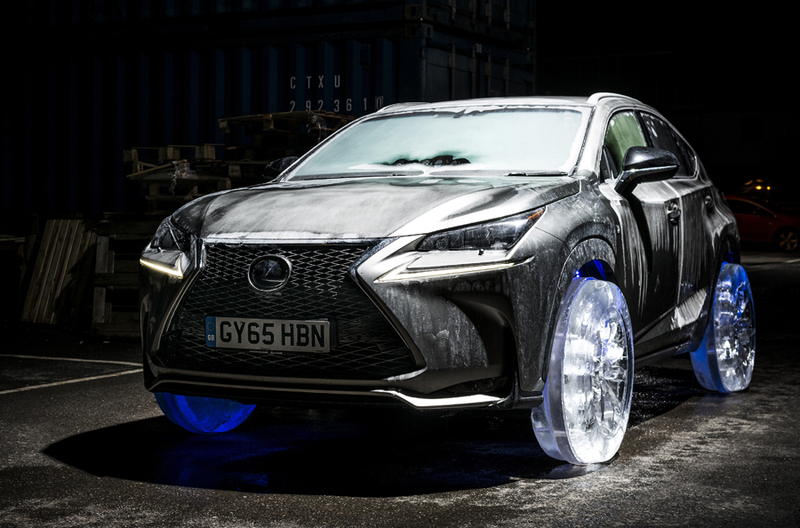 Lexus commissioned Hamilton Ice Sculptors to explore how ice could be used in place of conventional alloy metal and rubber. Four sculptors worked for 36 hours to produce each wheel. Genuine NX wheels and tires were laser scanned and replicated using computer design and numerical control techniques. The ice was made from softened water taken from a moving flow to ensure it was perfectly clear when taken from the freezer. Acrylic inserts were added to ensure the wheels could take the load of the NX. The perfect finish was achieved with hand-crafting, using Japanese steel chisels and shaping tools. Even the tread patterns on the tires were faithfully reproduced. 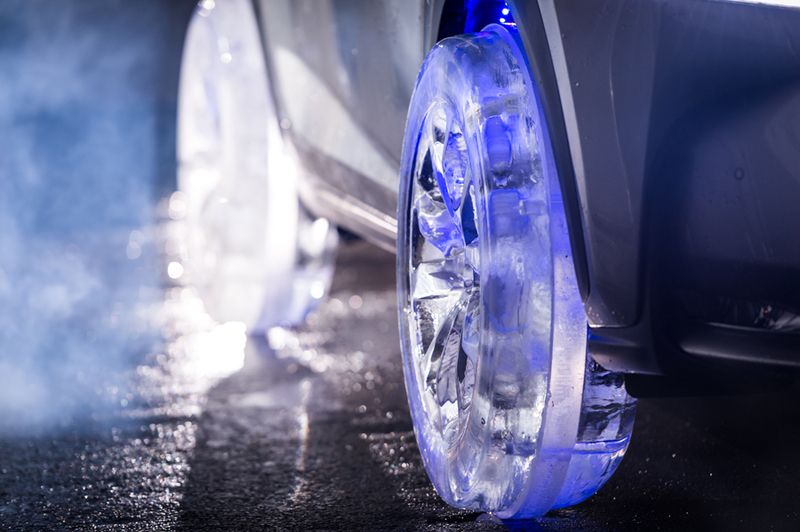 After three months’ research, design and testing, the finished wheels were fitted to a Lexus NX for the ultimate ice drive. The car itself was deep-frozen, stored for five days at -30°C before being driven off down a London road. Watch the video below to see the tires in action and learn more about how they were created.